In his first news conference as acting defense secretary, Patrick Shanahan said he plans to continue overseeing the Defense Department's space reorganization. WASHINGTON — Acting Defense Secretary Patrick Shanahan said he anticipates months of debate and negotiations with members of Congress over the standup of a new military branch for space. 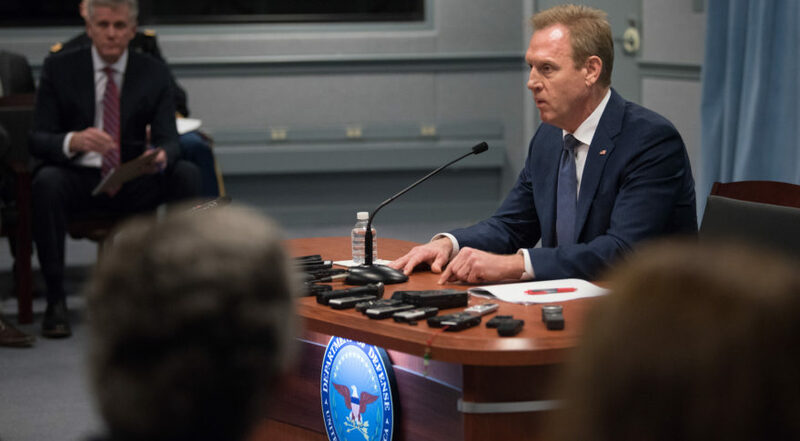 In his first news conference on Tuesday at the Pentagon as acting defense secretary, Shanahan said he plans to continue to oversee the space reorganization that started last year when he was deputy secretary of defense. He mentioned Undersecretary of Defense for Research and Engineering Mike Griffin and Air Force Secretary Heather Wilson as his closest collaborators. A proposal for the establishment of a U.S. Space Force is being finalized and will be sent to the White House for approval before it goes to Capitol Hill along with the budget request for fiscal year 2020. Inside the Pentagon, meanwhile, discussions continue on how to structure a Space Development Agency to be led by Griffin. “Internally, the focus is on ‘How do we go faster with delivering capability?’” Shanahan said. A White House policy memo agrees with the Pentagon’s recommendation to place the Space Force in the Department of the Air Force but directs DoD to continue to plan for the creation of a separate Department of the Space Force. The Pentagon has not revealed any estimates of the potential size or cost of a Space Force. An independent study by the Center for Naval Analyses suggested a Space Force would have 16,000 to 19,000 combined active duty and military personnel. By comparison, the smallest military service today, the Marine Corps, has 186,000 active-duty troops and is organized under the Department of the Navy. The thinking is that the Space Force will be small in size but heavy in technological might. Shanahan has been insistent that his immediate priority is to create a Space Development Agency to help inject innovation into military space programs and speed up the application of commercially available technology. At the press conference, Shanahan did drop a bit of news: A four-star nominee has been selected to lead a new combatant command for space. “We do have a person that we’re going to move through,” he said, although he would not disclose the name of the nominee or the proposed location of the new command.